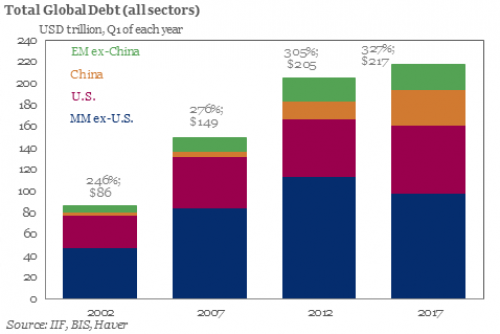 The world is awash in debt, with total cumulative new debt added on since 2008 an unbelievable $74 trillion compared to global GDP of $78 trillion. The global total debt/GDP ratio is now about 325%; developed markets never deleveraged, and emerging market debt has soared since 2008. Such high levels of debt are unsustainable and dangerous, but leadership is so poor that virtually nothing is being proposed to handle it. Three great leaders of the past were able to handle budgets, taxes, and debt: Pitt the Younger, Hamilton, and Eisenhower. Investors should not be impressed by the tax reform, as debt will soar; it makes sense to hold defensive assets like OTCRX, QLENX, AQMNX, WHOSX, TLT, BIV. The world is awash in debt today, with total cumulative new debt added on just since 2008 estimated to be an unbelievable $74 trillion compared to an estimated global GDP of only $78 trillion for 2017. The global total debt/GDP ratio is now about 325% (Dion Rabouin, 2017). Historical analysis indicates that this is one of the highest global debt levels ever observed (Chart 1). 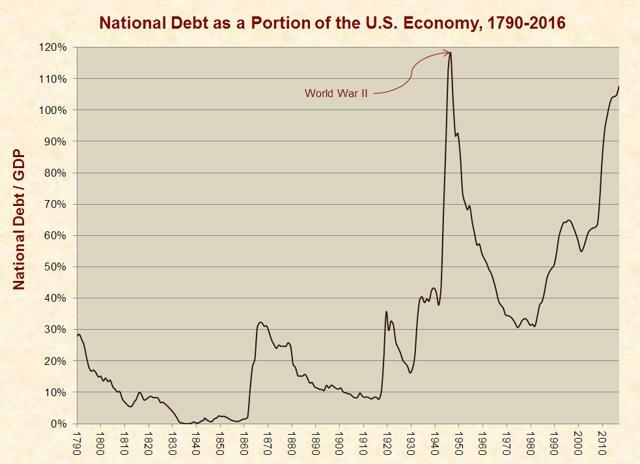 US national debt is now approaching the levels seen in the aftermath of World War II (Chart 2), and US total debt far exceeds it (Chart 3), but this time around there is no global conflict that would justify the huge debt burden we've taken on. 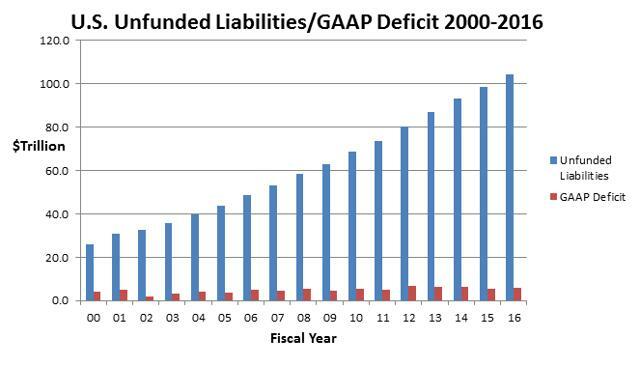 Furthermore, our unfunded liabilities amount to a total future debt burden more like $127 trillion, rather than the $20 trillion that's usually reported (Vance Ginn, 2014). The impact of this debt burden on the economy is likely to be devastating at some point if the upward trend in cumulative debt continues to climb at its current rate (cf. Carmen Reinhart & Kenneth S. Rogoff, 2009; This Time Is Different: Eight Centuries of Financial Folly, Princeton University Press, Princeton, NJ, 463p). Indeed, many of the most damaging balance sheet recessions and outright depressions in major economies over the last century have been associated with credit bubbles that deflated suddenly (Op. Cit. ; also cf. Richard C. Koo, 2009; The Holy Grail of Macroeconomics: Lessons from Japan's Great Recession, John Wiley & Sons, New York, 339p). Furthermore, even those debt crises occurring in certain highly devastated countries right after World War II were actually caused in part by the fact that these countries had never fully recovered from the Great Depression before the war hit them. The current accumulation of US and global total debt has been driven by at least four pernicious problems: the rise of the welfare state and the massive government spending that goes with it (Chart 4); the demographic challenges faced by major economies as baby boomers age (Chart 5); the artificially low interest rates held in place for many years by the world's central banks, which have enabled corporations and governments to take on massive debt for non-productive purposes (Chart 6); and the rise of nationalistic trade policies or mercantilism oriented around vendor financing of international trade using vastly elevated levels of debt (Chart 7). 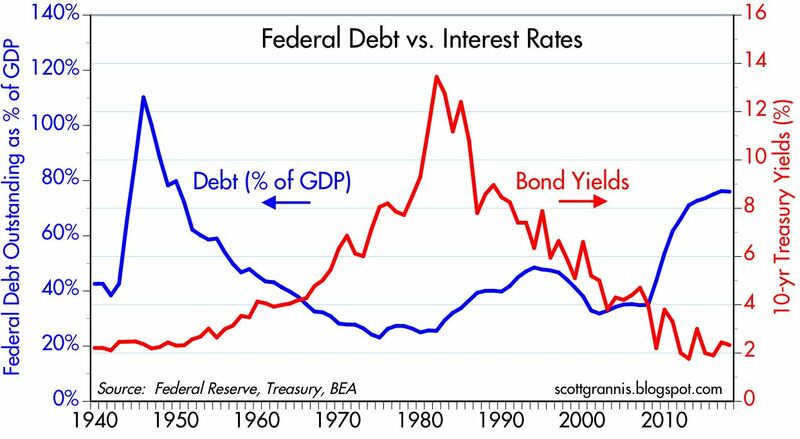 The amount of global debt now extant is unsustainable, and the reason there has been no collapse so far must be attributed to the fact that rates are low and QE, which has boosted central banks' balance sheets to an aggregate $14.2 trillion, is still ongoing to the tune of $97 billion per month as of September 2017 (Laurence Mutkin, 2017). The US Fed Funds Effective Rate was still only 1.16% as of September 13, 2017, even after four rate hikes (Jill Mislinski, 2017), although that will rise in December again; furthermore some 40% of the Eurozone's outstanding bonds still had negative yields in July of this year. In fact, about $9 trillion of developed country debt has negative yields now (John Mauldin, 2017). All of this suggests that low rates have supported easy debt service for both the government and corporate sectors. Now that the Fed is committed to raising rates and shrinking its balance sheet, and other central banks like the ECB and BOE may soon follow suit in a coordinated effort, it seems likely that the easy debt service will fade away, leaving profligate governments and corporations holding the bag. The need for leadership in dealing with the current debt crisis is increasingly urgent, but unfortunately, there is virtually no leadership in the major economies, as far as I can see. A new US "tax reform" bill will likely pass in the next few weeks, but it contains the usual massive and counter-productive gifts to corporations and the wealthy while simultaneously running the deficit and the debt up even further (maybe $1.0 trillion in 10 years); this likely won't even provide any growth advantages for the economy (John Early, 2017). The US government has now stooped to the dangerous game of fudging the deficit numbers in order to obtain political cover for spending. For example, a deficit of "only" $1.7 trillion was reported for the last three fiscal years through September, 2017, but federal debt actually went up by a whopping $3.2 trillion, or almost double the reported deficit. This is due to the Obama Administration's efforts at an accounting sleight of hand, in which a number of major items were moved off-balance-sheet to hide their impact (Van R. Hoisington & Lacy H. Hunt, 2017). On the other side of the political spectrum, Speaker of the House Paul Ryan presented a plan in 2016 for eliminating the deficit and eventually paying down the federal debt (the published plan was called "A Better Way"), and the CBO scoring showed that it would work. The only problem was that Ryan had instructed the CBO to use a whole series of absurd assumptions on both the spending side and the revenue side of the budget, and as many observers have noted, absurd assumptions are the norm in CBO projections. So both political parties in the US work actively to obscure the facts and obfuscate the issues. Even more absurd calculations are regularly given credence by the governments of the EU, the UK, China, and Japan. Present leadership in the major economies is thus appallingly bad and dishonest to boot. How we will survive weak and duplicitous leaders and a disengaged public I don't know, but we need to do better than this if we are to survive and eventually thrive again. I often find useful precedents and even inspiration by examining the historical record. Looking back through history for some examples of leadership in the realm of budgets and economics, I actually found some that are worthy of note. 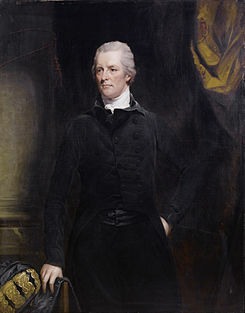 In the following I will discuss the budgetary and leadership careers of William Pitt the Younger, prime minister of the UK in the late 18th century; also Alexander Hamilton, the first US secretary of the Treasury under president George Washington, also in the late 18th century; and Dwight D. Eisenhower, president of the US from 1953 to 1961. All three of these leaders took the bull by the horns and actually led, bending their respective legislative bodies to their will and successfully dealing with deficits, taxes and debt crises. All three were giants of their eras and had the political clout to get big things done. Our current crop of pathetic politicians in the major economies would do well to emulate them. William Pitt the Younger (1759-1806) was the youngest prime minister of Great Britain ever when he took office in 1783 at the age of 24; his father had also been a prominent politician. He was prime minister for one of the most tumultuous periods in British history, beginning with the recognition of American independence in 1783, continuing with the French Revolution in 1789-1793, and culminating with the Napoleonic Wars (1793-1815), which didn't end until long after Pitt's own death. When Pitt took office he was faced with an enormous debt crisis brought on by the costs of fighting the American Revolutionary War and other previous imperial wars. Britain was 243 million "GBP" ($37.76 billion in 2017 dollars) in debt, and was paying one-third of its annual budget, or 8 million "GBP" ($1.24 billion in today's dollars) as interest on the debt (Wikipedia, 2017). This level of government debt was the equivalent of about 150% of GDP at the time (Chart 8; UK Public Spending blog, 2017). Pitt was quite adept at finance and had served as chancellor of the exchequer under both his own and the previous government. He came up with the idea of a sinking fund and got it passed by parliament in 1786. Under this law, 1 million "GBP" ($155.39 million in today's dollars) per year were set aside to earn interest for future payments on the debt. Taxes were also raised to help with budgeting, and tariffs on some imported goods were lowered, resulting in substantially higher (2 million "GBP", or $310.78 million in today's dollars) customs revenues. The national debt dropped by 30% to 170 million "GBP" ($26.42 billion in today's dollars) by 1792 because of Pitt's sinking fund and the other measures. This was critical in allowing the country to continue borrowing to finance new military expenditures when the first phase of the Napoleonic War began in 1793. Pitt died at the age of 47 in 1806, but the UK was able to continue fighting the war because of its good credit history, eventually winning against a resurgent Napoleon in 1815 at the Battle of Waterloo. By 1816, the UK had taken on a total of 679 million "GBP" in debt ($105.51 billion in today's dollars) in fighting its wars, thus raising the national debt to a level of about 260% of GDP (Robert Neild, 2012). The UK government financed this in part with its famous Consols, which were perpetual bonds with 3% interest rates and no required payments on principal. 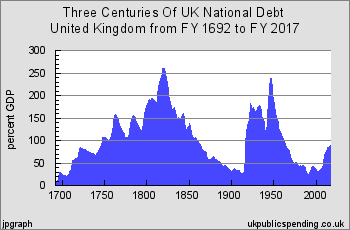 Britain never defaulted on this enormous debt, but rather gradually made payments on it. The last part of the Napoleonic War's Consol bonds were paid off in 2015 (Wikipedia, 2017). The major influence on the declining debt/GDP ratio seen in Chart 1 above was however the tremendous (8-fold) expansion of GDP as a result of the Industrial Revolution (Robert Neild, 2012). In any case, Pitt's efforts greatly improved the UK's status as a debtor and allowed it to survive using debt financing of its military expenditures during what was in effect a global war that lasted decades. Alexander Hamilton (1755-1804) was General Washington's senior aide de camp and a Lt. Colonel in the Revolutionary War. After the war, he served briefly in the Continental Congress and then founded the Bank of New York, which stayed in business for some 220 years (Wikipedia, 2017). He was early to recognize the failings of the Confederation of States (1783-1789) and became one of the major supporters (and a delegate) of the constitutional convention, which took place in Philadelphia in 1787. 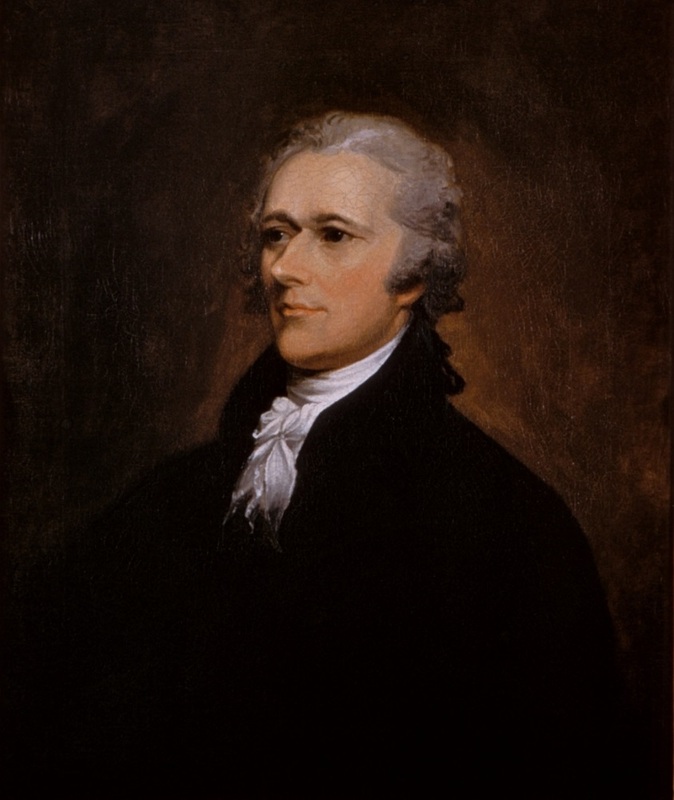 Hamilton also wrote 51 of the 85 essays contained in The Federalist Papers (1787), written in support of the new constitution, with James Madison and John Jay authoring the remainder. When George Washington took office as the first US president, he named Hamilton as the first Treasury secretary in September 1789. Hamilton served in that capacity from late 1789 to early 1795. 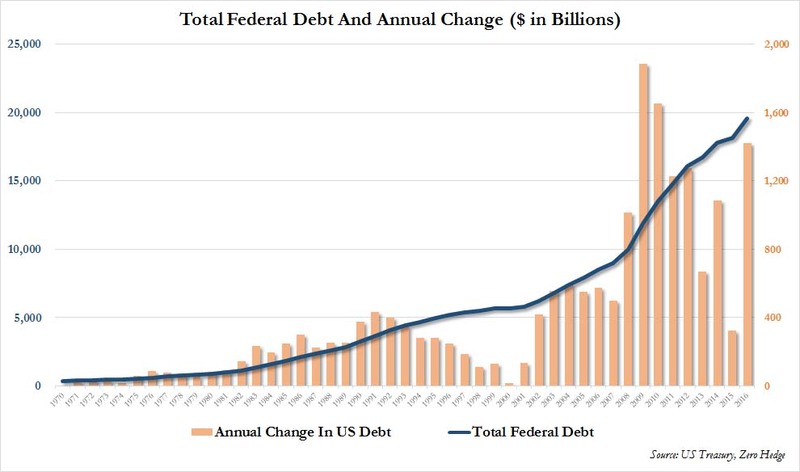 When he took office, Hamilton found himself confronted with the enormous debts of the Revolutionary War ($75 million, or about $1.98 billion in 2017 dollars; this amounted to a debt/GDP ratio of about 30%; Brad Schiller, 2013). While this doesn't seem so bad (Chart 9) compared to the present, credit is all about people's confidence in the borrower (as pointed out by Reinhart & Rogoff, Op. cit. 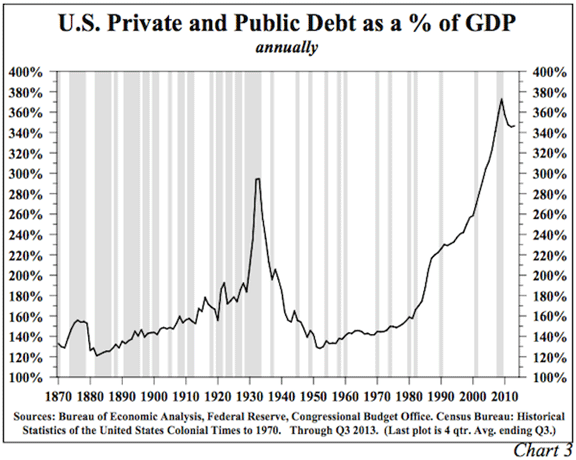 ), and there was very little confidence in the US as a debtor back then. The government feared a collapse, as the US also faced the lack of a sound currency, no federal mint for creating coin, no central bank that could act on the government's behalf, and no reliable sources of revenues for the operations of the government. Indeed, president Washington's early presidential expense reports were stated in British pounds sterling (and shillings and pence) instead of US dollars (Ron Chernow, 2004; Alexander Hamilton, The Penguin Press, New York, 818p). 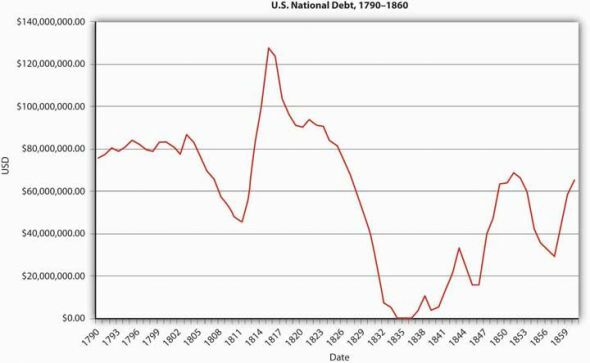 Hamilton's problems in confronting the debt were complex in that the states had their own war debt but some were delinquent on it; in addition, the federal government also had its own large debts and very little revenue. Congress asked Hamilton to produce a report on suggestions for improving the nation's credit. Hamilton threw himself into the project, using venerable sources like Hume, Hobbes, Montesquieu, Necker, and Postlethwayt for theoretical principles. For practical examples, Hamilton ironically turned to the original 1694 charter of the Bank of England, and the actions of no less than Pitt the Younger and his Parliament in securing credit for the UK during troubled times. Hamilton also interviewed US contemporaries like James Madison and John Witherspoon for their advice. Hamilton's Report on Public Credit (1790) ran to 40,000 words and covered the debt situation of the 13 states and the federal government, the need for assumption (consolidation of state debt into the federal debt), the proposed creation of a sinking fund, and the general principles of property law and debt securities trading. In his report Hamilton argued that the creation of public debt should always be accompanied by the means of extinguishing it, and he regarded this "as the true secret for rendering public credit immortal." The publication of Hamilton's report was met with tremendous enthusiasm by the markets, and bond yields fell (prices soared) immediately as faith in American credit was restored. Hamilton wrote later that "Credit is an entire thing. Every part of it has the nicest sympathy with every other part. Wound one limb and the whole tree shrinks and decays." Of course, he realized that not all of the traders in bonds were honorable men, and thus there would be losers in his scheme, such as the war veterans who sold their war bonds (given in lieu of back pay) to bond speculators when prices fell prior to Hamilton's stabilization of US credit. There was much criticism of Hamilton's plan based on what befell these veterans who had sold their securities to traders. Hamilton wrote Washington, however, that "It is perhaps always better that partial evils should be submitted to than that principles should be violated." By this he meant that he wanted capitalism to thrive, and he couldn't see how that would happen if right at the outset he rolled back the clock and rescinded valid historical transactions. The Congressional debate on assumption was extremely ugly due to regional jealousies and political considerations, and the House rejected it on April 12, 1790. Simultaneously there was much wrangling amongst regional factions about where the US capitol should be built. On June 20, 1790, Hamilton and Madison met for dinner at Jefferson's lodgings on Maiden Lane in New York. They struck a famous bargain that placed the temporary capitol in Philadelphia, the permanent capitol on the Potomac, and gave regional opponents (in exchange) full support for assumption of the debt. On July 26, 1790, the House passed Hamilton's assumption bill. Other aspects of Hamilton's suggestions were also approved. The sinking fund was established in 1792 and was funded by various means over time, with millions of dollars allocated to it each year later in its history (Donald F. Swanson & Andrew P. Trout, 1992). US debt declined sharply by 1812 (Chart 10), but then the War of 1812 caused another upward spike. The US sinking fund operated differently than Pitt's sinking fund, but it still managed to partially redeem US cumulative debt by 1824. By late in the year 1790, Hamilton had actually achieved a budget surplus (Chart 11) and the value of government securities had tripled. But with the assumption of the states' debt, Hamilton faced real problems in servicing that debt. He proposed liquor taxes, but also proposed a central bank (The Bank of the United States), a mint, and a currency peg to gold and silver. The bill to charter the central bank was highly controversial, being opposed by Madison, but was approved in January 1791 by the Senate and in February of that year by the House. However, Jefferson and Madison wanted Washington to veto the bill on the basis that it violated the "necessary and proper" clause of the Constitution. Hamilton responded with a 15,000 word treatise written in less than 10 days. In his treatise, Hamilton stated that government must possess the means to attain its lawful ends, and went on to promulgate the doctrine of "implied powers." Washington read Hamilton's treatise and signed the bill. However, the rift between Hamilton and Madison was thereafter the basis for the start of the two party system in America. Despite this controversy, when the central bank's stock was finally first offered to the public on July 4, 1791, there was a speculative frenzy, followed by our first-ever market crash just over a month later. In response, in mid-August of that year, Hamilton conducted the first-ever open market operations of the central bank by buying government securities to stabilize the market, using the monies and balance sheet of the sinking fund to do it (Richard Sylla, 2007). Hamilton nearly simultaneously with his report on banking also wrote a report for Congress on coinage which he called Report on the Mint, duly delivered on January 28, 1791. Counterfeiting was widespread at the time, and many other coins were adulterated with base metals, making the coinage highly suspect as both a store of value and a means of exchange. Hamilton proposed a standard of 370.933 grains of silver to a US silver dollar, and made similarly precise calculations for the peg to gold. The choice of two metals rather than one was ultimately probably a mistake, but in the short term faith was restored in the currency. Most of Hamilton's ideas on the mint and coinage were approved by Congress in the spring of 1792. All in all, Hamilton's ideas can be said to have been critical to the survival and eventual prosperity of a great nation. It would be very useful for today's so-called leaders to study Hamilton's recommendations for good government. Dwight D. Eisenhower (1890-1969) spent his entire first career to the age of 62 in the US Army, rising to the rank of General of the Army (5 stars) and commanding the Allied invasions of North Africa, Sicily, and mainland Europe in World War II (Wikipedia, 2017). After the war, Eisenhower served as Army Chief of Staff, and then President of Columbia University (Hamilton's alma mater), and after that as NATO Supreme Commander. He turned down a draft movement from Democrats who proposed to run him for president in 1948, but by 1952 he foresaw some trends coming in politics that he wanted to prevent from happening, and somewhat reluctantly accepted a draft movement from the Republican Party. Eisenhower won the 1952 election over Adlai Stevenson in a landslide with 442 out of 531 electoral college votes. He had a thin majority in the House and a tie in the Senate in his first term, but he also had a mandate to end the Korean War, contain Communism, and fight corruption. He served two terms with strong (64% average) public support (1953-1961). In his two terms as president, Eisenhower achieved a number of things, including the establishment of the interstate highway system, NASA, the Dept. of HEW, and a science and higher education program (NDEA). 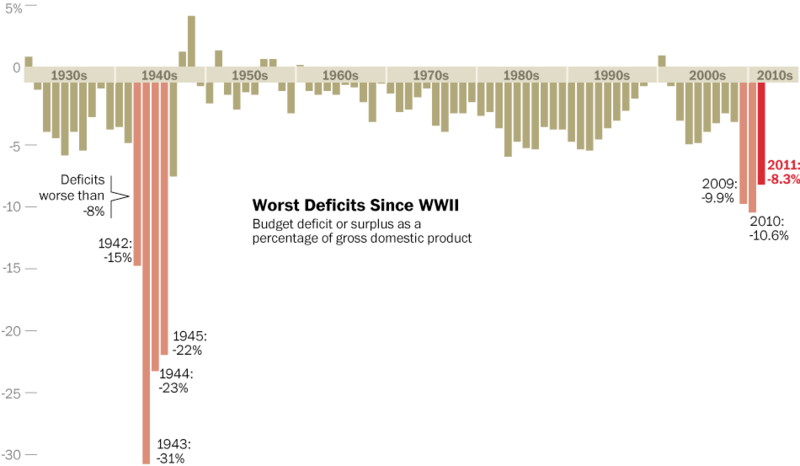 But one of Eisenhower's enduring issues was his abhorrence of federal deficits. He was not afraid to veto spending measures, and used a total of 181 vetoes over his eight years in the Oval Office (Rudolph G. Penner, 2012a). In contrast, George W. Bush and Barack Obama issued only 12 vetoes each. 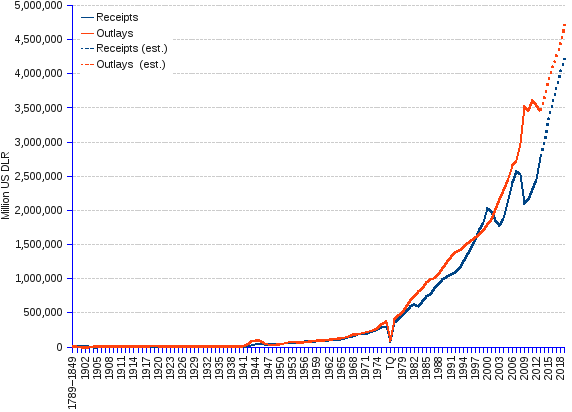 During Eisenhower's time in office, there were three fiscal years (1956, 1957, and 1960) with actual budget surpluses (Chart 12). 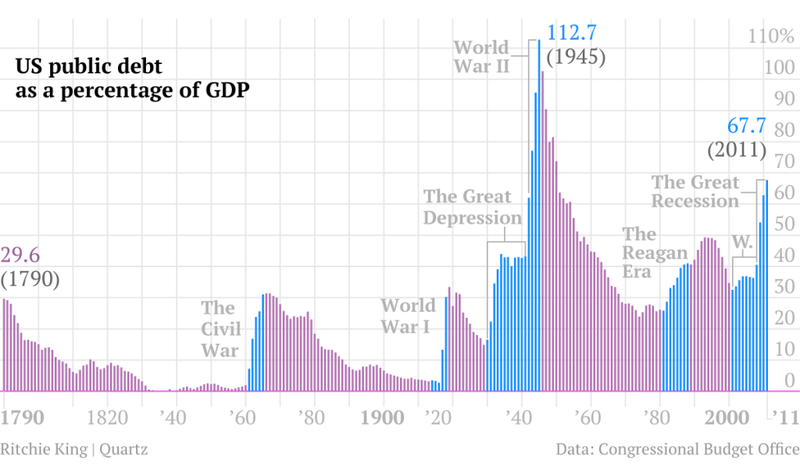 Deficit years were in part caused by the three recessions that occurred during the Eisenhower Era (i.e., July 1953-May 1954, August 1957-April 1958, and April 1960-February 1961; Wikipedia, 2017). The surplus years did not occur by accident; rather, intense horse-trading between Democrats and the Republican administration took place, and deals were struck regularly. Obviously, things were different then, because in spite of significant disagreements over political issues, the parties still got things done. They also had the advantage of a much smaller role for Social Security spending (11% vs. 22% now), and the Medicare and Medicaid programs did not yet exist (Rudolph G. Penner, 2012b). Defense spending was almost half of the budget, but Eisenhower consistently fought to reduce the size of the defense allocation, and he was willing to trade off such spending to balance the budget. This was because he thought large armies created the temptation to get into ground wars, and he was also famously wary of the military-industrial complex. Toward the end of Eisenhower's presidency, in 1959, the budget ran a deficit that embarrassed him (a "whopping" $13 billion); however small this seems now, it was quite big for the time. 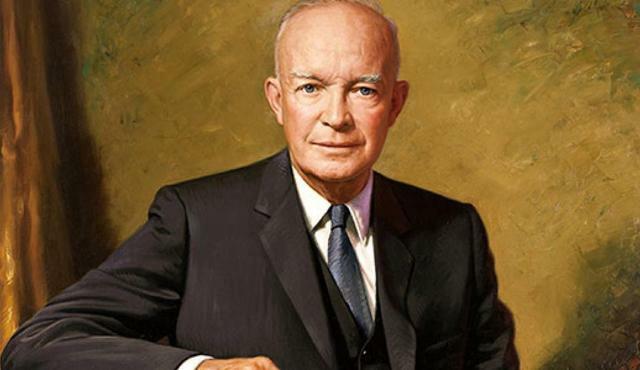 Eisenhower subsequently proposed severe restraints to spending and only minor tax increases for the 1960 fiscal year. However, the Democrats had won a landslide victory in the mid-term elections of 1958, and held large majorities in both the House and the Senate. But the parties were hardly monolithic then, and Eisenhower's popularity was still strong. He refused to accept a large defense spending bill in spite of the raging Cold War, and Congress acquiesced. Eisenhower also vetoed a housing bill twice before finally accepting a greatly toned-down version on the third try. Meanwhile, Eisenhower strongly defended his budget with speeches and news conferences. In the end, with some luck and some last minute gimmickry, the final 1960 federal budget was balanced. In fairness, Senate Majority Leader Lyndon Johnson and House Speaker Sam Rayburn also deserved credit for working with the president to achieve this result. Eisenhower was the last US president to consistently work for a balanced budget throughout his two terms in office. Bill Clinton gets some reflected glory for the balanced budget of 2000 (cf. Chart 12 above), but the long-term plan that delivered it was put together in 1995 by then-speaker Newt Gingrich and the Republican Party, not president Clinton (Stephen Moore, 1998). President Obama's last budget actually ran a trillion dollar deficit, when the debt increase is counted, and it is likely that President Trump's first budget will be even worse. There is no discussion within the leadership of either party today about bringing federal deficit spending realistically under control. Nor is there any discussion at the top about revisiting the one thing that has worked so well in the past: a sinking fund (using either Hamilton's or Pitt's example as a template) to help reduce the national debt over time. It is high time that our so-called leaders do both. However, given the profoundly rotten nature of the political swamp (Wilson, 2017), it seems rather unlikely that solutions will be forthcoming from the so-called leadership we now endure. Given the actual path of government deficits (or more reliably, debt increases; cf. 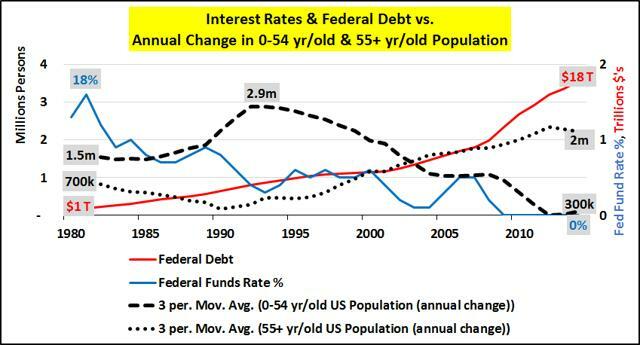 Chart 13) and the trend of cumulative debt (especially when unfunded liabilities are included; cf. 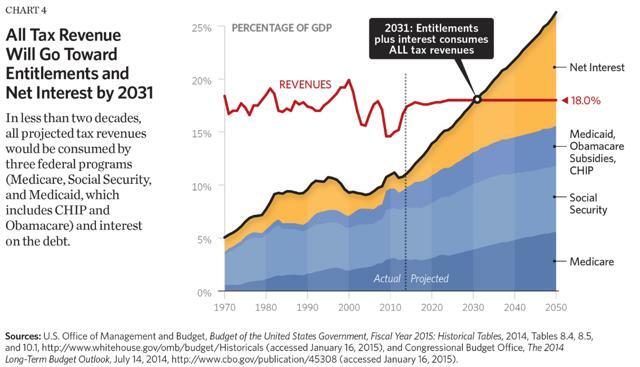 Chart 14), it seems inevitable that the US will one day have to inflate its way out of this trap. There are really only a few ways to proceed (Wilson, 2016), but it seems much more likely that we will devalue the dollar over time than that we will actually have the political will to repudiate our empty promises. This idea of inflating away the problem has long been one of the preferred methods of governments everywhere, as shown by the historical studies of Reinhart & Rogoff ( Op.cit.). Indeed, many, many examples of currency debasement and hyper-inflation crises exist, including the nearly 57% debasement of the French currency in 1303, the 50% debasement of the UK's currency in 1551, the Dutch hyper-inflation (40%) in 1709, the American hyper-inflation (192%) in 1779, the hyper-inflation (78%) of Thailand in 1919, the Indonesian hyper-inflation (nearly 940%) in 1966, the Nigerian hyper-inflation (nearly 73%) in 1995, and the currently ongoing Venezuelan hyper-inflation (741% in the 12 months through February 2017). A study of debt crises since the 1930s was recently conducted by the McKinsey Global Institute (C. Roxburgh et al., 2012). 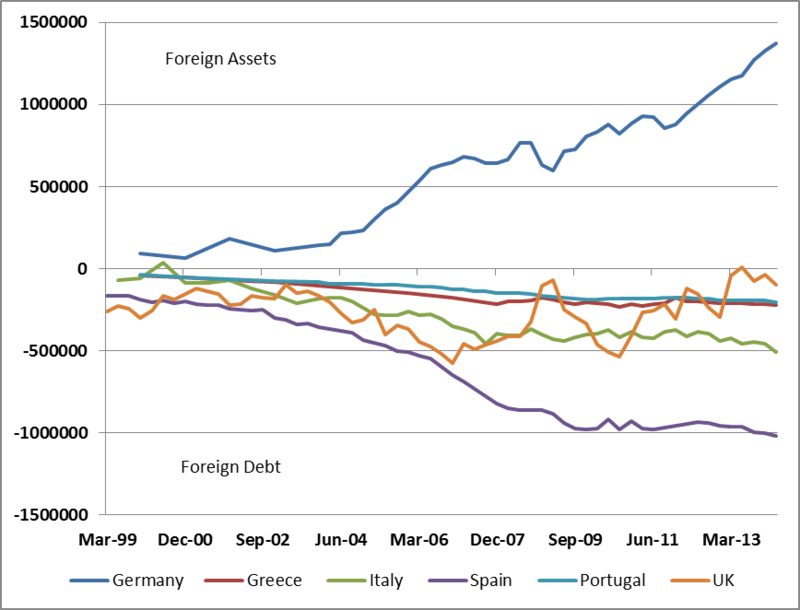 In the more recent decades examined in this study, some 75% of the total of 32 global debt crises have actually been resolved by austerity (e.g., Greece since 2010). The remaining 25% of recent (post-1930s) historical crises were resolved by the more traditional hyper-inflation and/or currency devaluation methods, but all of these latter cases involved emerging market economies with weak central banks. We are likely to change these global statistics forever in the next few years. It is extremely likely that the US, China, Japan, the Eurozone, and the UK will be forced to follow the currency debasement/hyper-inflation pattern seen in emerging markets debt crises. I base this opinion on the extreme levels of debt and the huge unfunded liabilities most of them have. The only alternative to inflating away the problem is an austerity program so severe that long-lasting economic depressions (cf. Greece) would result. As Woody Allen said, "More than any other time in history, mankind faces a crossroads. One path leads to despair and utter hopelessness. The other, to total extinction. Let us pray we have the wisdom to choose correctly." Of course, there's actually a third option: we could solve the debt crisis the way Pitt or Hamilton did, but that would require real leadership. Resolution of the global debt crisis will involve a lot of pain, but it will also take time. In the meantime, the markets continue to act like gambling addicts, constantly raising the ante in each new hand, and also raising their collective bets while pursuing ever-increasing risk. Presumably this is meant to provide the way to cancel their collective debts and continue to live the good life. This doubling up on risk will continue until it stops. When it stops, the losses will rival those of other famous crashes in 1987, 2000, and 2008. Investing some money in a gold fund like the iShares Gold Trust ETF (IAU) may be in order for all investors. Also, for those discounting a possible recession, some liquid alternatives like the Otter Creek Prof. Mngd. Long/Short Portfolio (OTCRX), the AQR Long/Short Equity Fund (QLENX), and the AQR Managed Futures Fund (AQMNX) could be held to protect assets in the event of a market dip associated with deteriorating economic data. Those in a more defensive frame of mind because of the expected eventual market slide should hold some long Treasuries, in spite of bearish arguments to the contrary, as a stock market crash would be hugely supportive of bond prices: the Wasatch-Hoisington Treasury Fund (WHOSX), the iShares 20+ Yr. Treasury Bond ETF (TLT), and the Vanguard Intermediate Term Bond Fund (BIV) are likely candidates in that event. 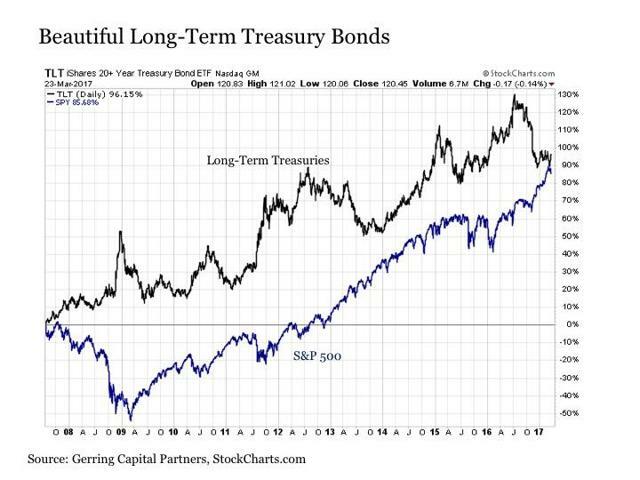 The long bond fund has actually matched the performance of the S&P 500 over the period from early 2008 to early 2017 (Chart 15; Eric Parnell, 2017), and there is little reason to think it won't continue to do well (cf. Hoisington & Hunt, Op.cit.). Disclosure: I am/we are long OTCRX, WHOSX, TLT, BIV. I wrote this article myself, and it expresses my own opinions. I am not receiving compensation for it (other than from Seeking Alpha). I have no business relationship with any company whose stock is mentioned in this article.